This year’s show again proved popular with the crowds and the Air Cadets Stand was as busy as ever. We were accompanied by 614 Squadron Gliding School with their Aircraft on display. Staff from the School in Essex were on hand to demonstrate the controls and help aspiring pilots into the cockpit. After the show the Cadets begun the demanding task of clearing the site for the rest of the weekend, camping overnight. This is one of our many fund raising events of the year, so many thanks to all that helped this year. 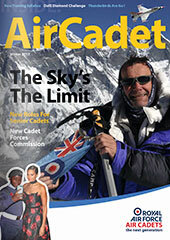 Categories: Manningtree Air Cadets, News, Social Events | Permalink.